Persimmon Fruit belongs to genus Diospyros from the family of Ebenaceae and in botanical categorization it comes under the classification of berries. This fruit is available in golden yellow, round or oval, flavorful, smooth textured delicacy from the far East Asian origin. It is delicious and exotic fruit that grow on trees like plums and look like a small, rather flat tomato capped by a calyx. Let’s see amazing health benefits of Persimmon fruit. This delicate fruit is native to China. From China, it spread to the Korean peninsula and Japan very long time ago and later was introduced to California during the middle of the 19th century. There are a number of common names and nicknames for persimmons, including Jove’s Fire, The Fruit of the Gods, and Nature’s Candy. It is majorly found and produced in South East Asia though some varieties are grown in southern Europe as well. The most widely cultivated species is the American, Oriental or Japanese persimmon. Persimmon trees and plants are little more expensive than your average fruit tree because the propagation is expensive. Persimmon is a healthy fruit. If it happens to be a fruit of your liking or if you have always wanted to taste it, we will give you numerous health benefits as reasons to include it in your diet. Persimmon fruit is moderately high in calories (provides 70 calories/100 g) but very low in fats. It contains health benefiting flavonoid polyphenolic antioxidants such as catechins and gallocatechin in addition to having an important anti-tumor compound, betulinic acid. Eating food items like Persimmon that are high on fiber during weight loss program makes you feel fuller and for long. The sugar content in it is high and so it is best had before the workout so that all the sugar is absorbed and converted into energy by the body during the exercise routine. It is good in many valuable B-complex vitamins such as folic acid, pyridoxine (vitamin B-6), thiamin…etc. These vitamins act as cofactors for numerous metabolic enzymatic functions in the body. It has one of the highest ascorbic acid (vitamin C) contents of any fruit, and a single persimmon has approximately 80% of the daily requirement of that beneficial nutrient. 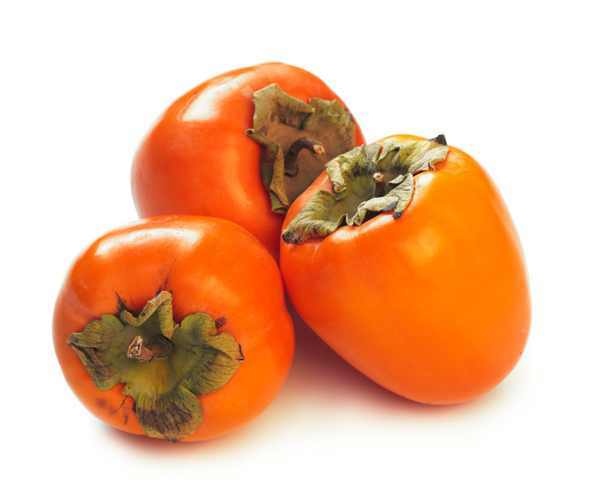 Persimmon fruit contains Lutein Zeaxanthin which is an Isomer which in many studies have found to be very effective in maintaining and improving the vision. It contains a highly beneficial nutrient which protect from free radicals. Free radicals are responsible for cancer. It also contains betulinic acid which is anti-tumor in itself and can hamper the growth of cancerous cells in the body.